RadioShack Corporation (NYSE:RSH) is likely to get some help from UBS AG and Standard General LP in avoiding potential bankruptcy. The electronics retailer is likely to use this money to settle its debts and arrange credit sources for inventory build-up for the holiday season. 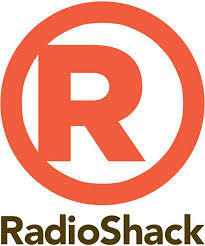 RadioShack Corporation (NYSE:RSH) has been operating on life-support fort quite a few months. If the deal materializes, RadioShack Corporation (NYSE:RSH) will use the money to refinance its current $535 million credit line (asset-backed) from General Electric Company (NYSE:GE)’s lending unit, GE Capital. After settling the debt, RadioShack would be able to increase its cash ceiling under the current debt agreement. Somehow, this loan could revive things for RadioShack Corporation (NYSE:RSH) as it is likely that the creditors would allow the company to close more stores and control its losses. Earlier, the company tried to close 1,100 stores but the creditors didn’t allow it to close more than 200. The stores that were the best place to go for any electronic item are finding it difficult to compete against the likes of Amazon.com, Inc. (NASDAQ:AMZN), Best Buy Co Inc (NYSE:BBY), and Wal-Mart Stores, Inc. (NYSE:WMT). RadioShack Corporation (NYSE:RSH) has reported quarterly losses for the last nine quarters and it is expected to post a deficit of $69.4 million for this quarter. The company will announce results for its quarter ending on August 2.